Have you been thinking about getting a floor jack? A floor jack that will easily let you raise the metal monster living in your garage? It needs to be solid. It must have great lift height. It better be safe. Oh, and let’s also insist on it being easy to use. Well we think the Torin Trolley Floor Jack has all of that. The Torin Trolley Floor Jack has a three-ton capacity and a maximum lift height of 21 inches, making it suitable for most trucks and SUVs. The extra-long jacking neck, provides great leverage, making it easy to use, especially when lifting a heavy vehicle. Swivel caster wheels on the base, at the handle end of this jack, provide great maneuverability, easily allowing it to be placed wherever required. The Torin Trolley Floor Jack is very good for high profile vehicles. 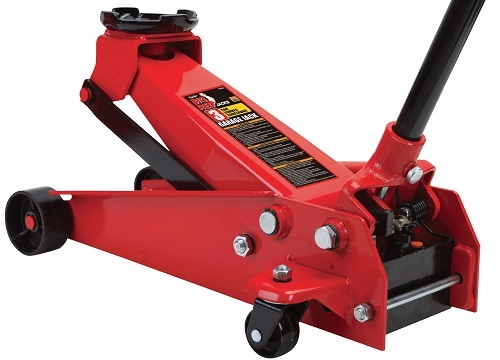 It’s extended reach feature and ability to handle three-ton vehicles, makes this a great floor jack for SUVs and trucks. We like the fact that the Torin Trolley Floor Jack is well made, being a solidly built floor jack for heavy duty use. Perhaps one of the things we really like about the Torin Trolley Floor Jack, is that with a price tag of well under $100, this is a very affordable floor jack. While the Torin Trolley Floor Jack is great value, with a minimum lift range of 6 inches, this trolley jack is not suitable for low profile vehicles. Since we feel that this jack has been designed for high profile vehicles, such as trucks and SUVs, then this should not really be a problem for most users. Like any well-built trolley jack, the Torin Trolley Floor Jack has a decent weight, not making it suitable if you are looking for an easy to move about type of floor jack. Several reviewers commented on it not being fast to lift, however if it does its job well, then given what great value for money this jack is, we feel that this is pretty minor. 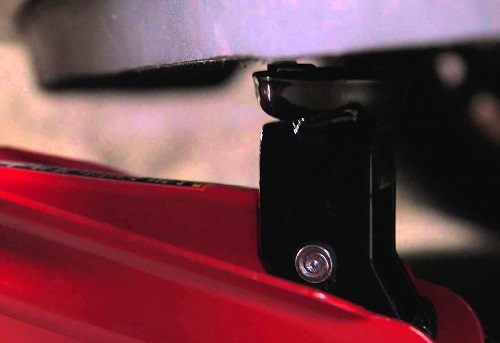 We feel the Torin Trolley Floor Jack is a great jack for owners of SUVs and trucks. This jack has a good lift height and a three-ton capacity, making it especially useful for high-profile, heavier vehicles. If you are looking for a trolley floor jack, that is remarkable value for money, and will allow you to tame the metal monster in your garage, then the Torin Trolley Floor Jack, may be just what you are looking for.